Dave Matsinko, a well-known folk musician from Pennsylvania, will perform at this year’s Tunes & Tales, a family-friendly feature event at the 10th annual Honesdale Roots & Rhythm Music & Arts Festival on Saturday, June 20th. Tunes & Tales takes place from 12noon – 5pm in the courtyard of the Central United Methodist Church, just around the corner from the main stage at 10th and Church Streets. “Dave is very versatile,” says Lisa Macchia-Ohliger, who is coordinating the event and is the Children’s Program Coordinator for the Wayne County Historical Society Museum. “He sings and plays guitar, old-time banjo, mandolin and a mountain dulcimer to bring the spirit of America’s musical past into the present, offering music from the mountains to the coal mines. In addition to Dave Matsinko, who will be performing throughout the day, Tunes & Tales will present Standingbear, a native American who will offer tales of his history and heritage. Roots & Rhythm is a free non-profit music and arts event for all ages. The headliner this year is The Kentucky Headhunters, preceded by the blues/gospel singer Alexis P. Suter and her band, Professor Louie & the Crowmatix (called a “tasty mix of rhythm and blues and rock”) and the soulful singer/songwriter Chrissi Poland. 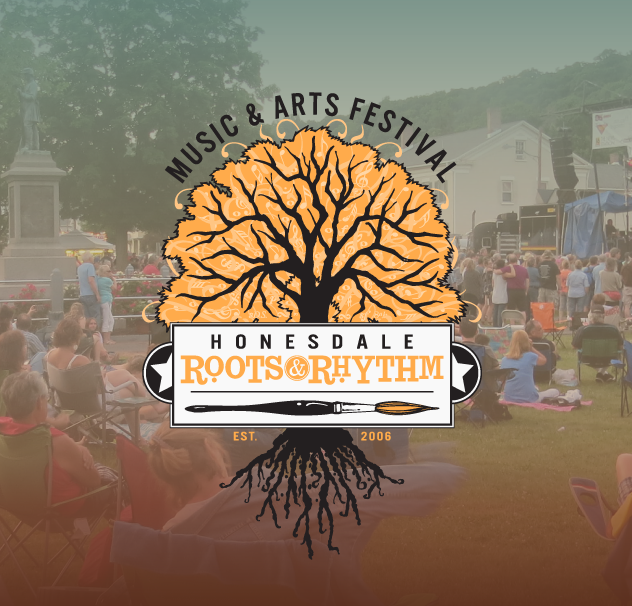 The fun starts with local bands performing on Main Street in the morning and continues with the main stage bands in Honesdale’s Central Park around 1:30pm. Photo: Dave Matsinko will be at this year’s Tunes & Tales at Honesdale’s Roots & Rhythm Music & Arts Festival.